Composed by Johann Crüger. Arranged by Daniel James Ficarri. 21st Century, Early Music, Christian, Lent, Funeral. Score. 9 pages. Published by Daniel Ficarri, Organist and Composer (S0.531133). 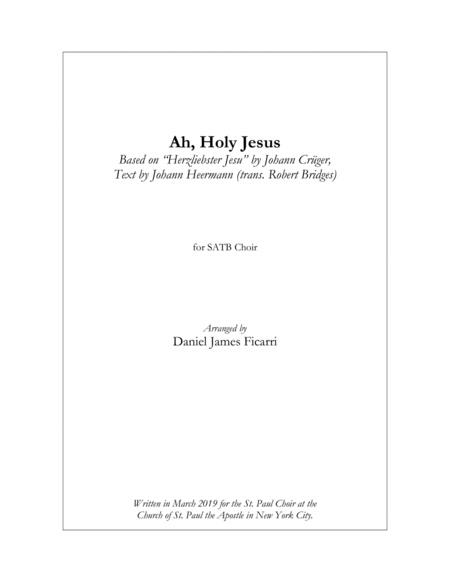 This chilling a capella arrangement of "Ah, Holy Jesus" is a perfect Lenten anthem for any SATB choir. 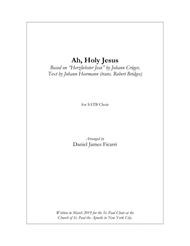 (Based on “Herzliebster Jesu” by Johann Crüger,text by Johann Heermann, trans. Robert Bridges).